Browse through photos taken across Northwest Indiana! All photos are available for purchase as a photo print and also available for commercial licensing. 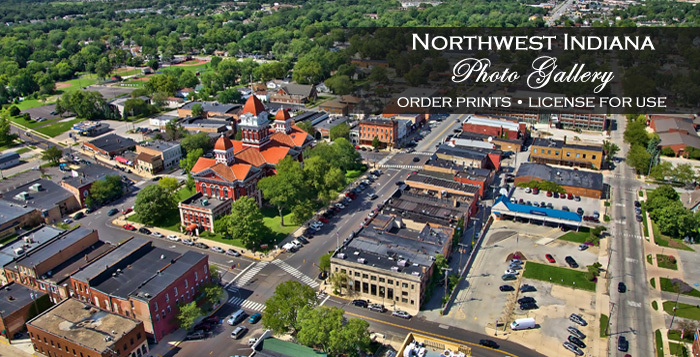 View vibrant aerial and ground photos of Northwest Indiana communities including many market photos of local festivals and parks. Prints of these photos are available in a variety of sizes, as large as poster size. Keepsakes, such as mouse pads, mugs, shirts, and more can also be purchased. Prices of digital photos vary depending on the size you wish to download. Sizes range from small web-friendly images to use on a website or larger sizes which can be used for print material. Click on a city below to browse through photos taken in cities and towns across Northwest Indiana. Is there a particular photo that you are looking for? Submit your photo request.